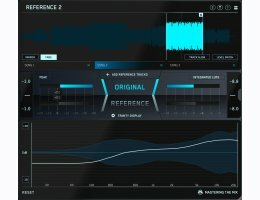 Compare your mix or master to up to 20 reference tracks. Add, remove and solo bands in the Trinity Display to zone in on the intricate differences between your mix and your references. The Level Lines in the Trinity Display tells you how much perceived volume that frequency band has compared to the same frequency band in your reference track. The Stereo Spread in the Trinity Display displays the stereo width of both your original track and your reference in each frequency band. Sharp retina display with resizable window as well as compact mode. Easy to set up, with user-friendly, non technical controls. Interactive tool tips can be activated in settings for more information.